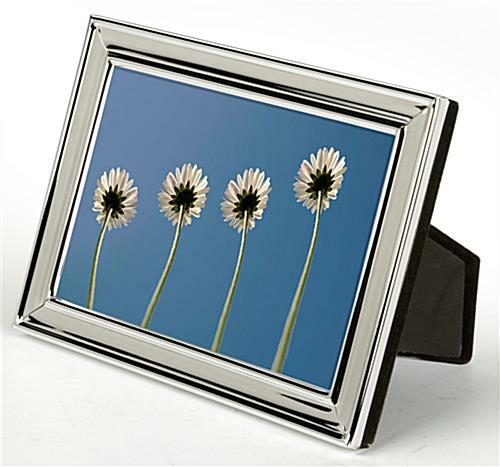 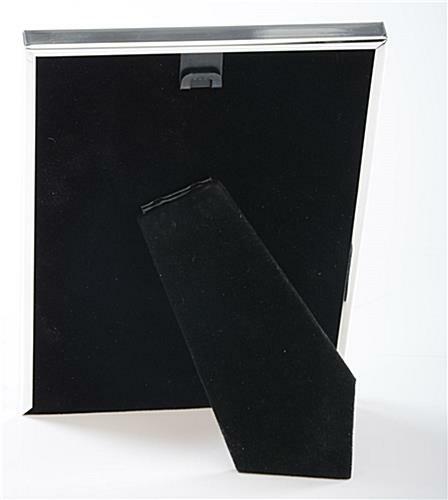 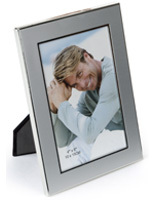 This small silver picture frame features a two-way easel backer that can be viewed in portrait or landscape, and a back hook for wallmount in portrait orientation. 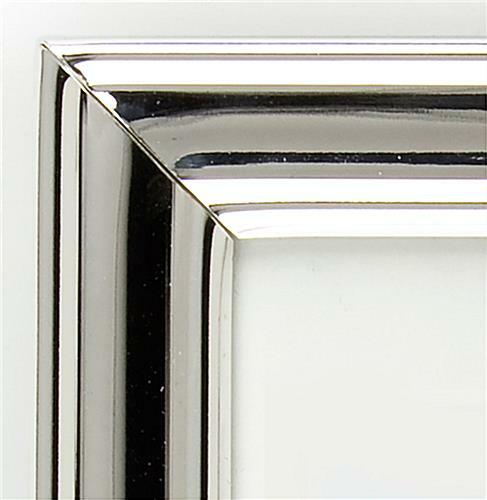 This plated version of a typical sterling enclosure is economical. 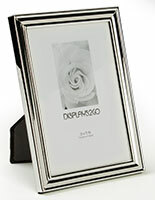 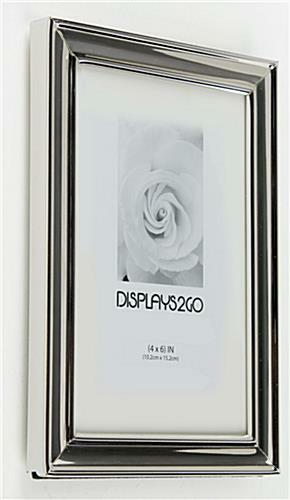 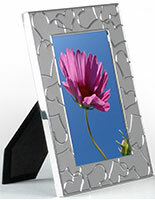 This high quality, silver picture frame is perfect for a wedding photo or snapshot of your baby. 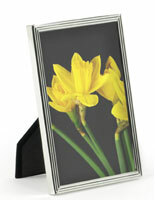 The affordable framing offers a display area for 4” x 6” prints. 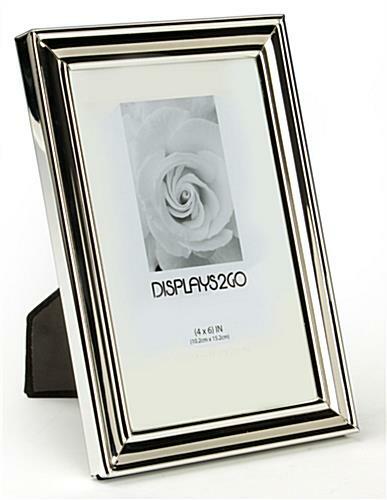 This picture frame w/ wallmount or tabletop placement options is a cheaper choice than sterling, but looks just as beautiful! 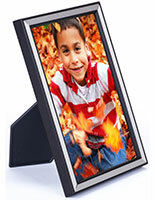 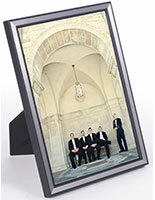 Mount a baby or family memory in this sleek enclosure. 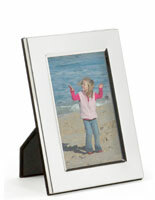 This picture frame for a baby or wedding photo is a great buy! 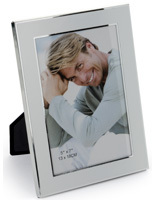 Each unit has a glass front and slide-out felt backer that is easy to maneuver when switching out images.